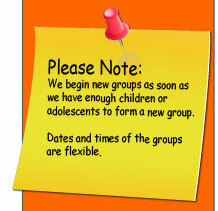 The Social Skills Group Self confidence and how to help to develop it in your children. Know that a relationship exists between a child's self confidence and their skill development. As a child's self confidence increases so will their abilities in many areas, including academics and social skills. As the academic competence and social skill competence increase, so does their self confidence. They are related. During the earliest years of your child’s life, be generous with affection. Take many photos of your child. Make a good fuss over them. Surround your children with family and friends. Enjoy life together. Take them on outings, to the library, the museum, the zoo, to see the beautiful botanicals, to the beach.... When you enjoy your children and life with them, naturally this builds their self confidence. They will feel worthwhile.